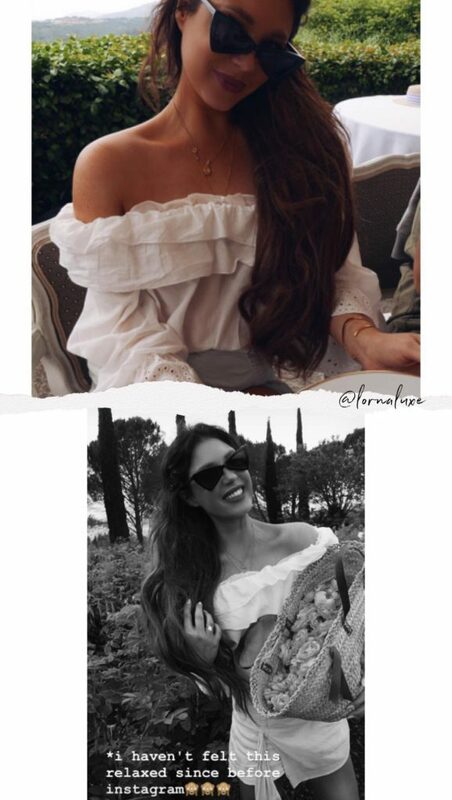 Fashionista Lorna Luxe has been spotted wearing our Compass Necklace to beautifully complement and style up her outfits. Check out LornaLuxe’s blog for all things fashion, accessories, and travel – coincidently just a few of my favourite things. Lorna’s blog is dedicated to providing style inspiration for fashion savvy young individuals. She uses the LornaLuxe blog to share her outfits and shopping finds. A must visit blog for some style inspo when you’re feeling a lil at loss as to what to wear. This holiday season, Lorna’s post in achieving that ‘Budget Vacation Wardrobe’ provides the best tips to make sure you are looking oh so stylish on your trip. From the cocktail hour outfit looks through to poolside cover ups Lorna covers all needed holiday outfits. With great photography of how she styled the items herself, Lorna also suggests other shopping alternatives to cover all wardrobe budgets. Lorna’s creation of holiday looks saves you the endless hours browsing online shopping sites, a must-read blog post especially if you are like me and are a last minute holiday packer! As a jeweller I love Lorna’s accessories section of her blog, and I am forever delighted when I see her carrying the Compass Necklace around her neck. A favourite post of mine is all about the rule breaking in fashion, from declaring that navy and black are my legit squad goals to her most rebellious act to date, mixing metals. Lorna decides that metal mixing gold and silver accessories is the best statement to see out the year. Challenging expected trends is something I love about Lorna, and spotting on her Instagram feed that she wears our Initial Compass Necklace reversed to show off the beautifully scrolled engraving grabbed my attention and has inspired me to create new designs. Watch this space! Don’t have a spare minute in the day to read in detail the blog posts? Lorna is super social, and you can find that fashion inspiration across all social platforms whether that be Instagram, Twitter, Facebook, Pinterest and even Snapchat. Beautiful photography and top captions that are totally relatable. So, whichever social media format you use most you can catch the lovely Lorna everywhere to keep up with her latest fashion tips.